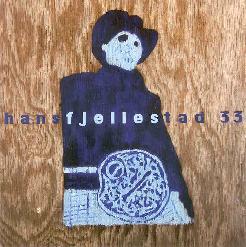 Hans Fjellestad - "33" / Donkey - "Big Sur"
Hans Fjellestad's follow-up to his Red Sauce Baby album is an eclectic blend of solo piano, electronics, and combinations of acoustic instruments and electronics. Fjellestad alternates and blurs the lines between the conventional and the avant-garde, on one track playing the solo concert pianist, yet on the next the experimental sound maniupulator. As the CD opened I liked the strange combination of free-improv piano, percussion, strings, fields recordings, and freaked out running up and down the short wave radio band on "San To San". But moving on to "Hash Knife" we're treated to the maddened concert pianist. Fjellestad's talents on the keyboard are showcased throughout the album, and some of the most conventional music is the best. "Smoke Shank" is among my favorites, being a piano piece that covers a range of emotions, floating seamlessly through various classical and jazz stylings. Fjellestad continually, and often dramatically, shifts the pace of his playing from quiet and serene to wild eyed and frenzied. "Pica" is an excellent piece with a bit of Gershwin flair (I recall a similar influence on Red Sauce Baby). "Pacifico" is similar, but as if to highlight the traditional vs. avant-garde nature of the album, the piano is combined with radio wave electronics. Another standout in this regard is "Don Garlica", a playful duel between the acoustic piano and space electronics. Fjellestad also leaves behind conventional stylings on several tracks. "Suit" is a subtle piece featuring waves of sound that exude a slow quiet passion. "Wriggling Call" is a combination of harsh string maniuplations, machine shop ambience, and cool robotic electro grooves. "Phone Damage" is one of the more purely electronic explorations on the album consisting of pulsating tones, sound waves, and various other electronic bits and voice samples. And "Cabrito" is an interesting free-improv acoustic/electronic blend with avant-tribal percussion. Donkey is the duo of Hans Fjellestad on analog & digital synthesizers, sampler and electronics, and Damon Holzborn on guitar, sampler and electronics. Big Sur is the follow-up to their Show album from 2000 (see AI #16) and consists of one studio track plus two tracks recorded at the Big Sur Experimental Music Festival. In general the music is similar to Show, except there are no guests that gave fleshed out the sound on some of the music on Show. Big Sur is more purely focused on the sound art and tripped out electronics that are the focal point of the project. "Wood" and "Fog" are the live tracks, totalling just over 30 minutes. "Wood" opens with an an electro duel that covers a range of patterns and sounds. The mood is somewhat whimsical at the beginning but quickly shifts into high intensity freakout mode. Fjellestad and Holzborn excel at combining sound and tonal exploration with continually evolving patterns to create a sound art bonanza that also happens to be a hell of a fun cosmic trip into the wildest and most turbulent regions of space. I particularly loved the moments of pure spaced out chaos that brought to mind a blend of Sun Ra's Concert for Comet Kahoutek and Hawkwind's Space Ritual. It's wild and frenzied but the listener is still able to tune into the details among the primordial sound soup. "Fog" is much more sedate but no less interesting. It begins with Holzborn cranking out killer free-improv runs on guitar while Fjellestad creates an ambient and very alien backdrop. But the guitar soon drops off and the remainder of track features quietly drifting ambient waves that close the album. The studio track that opens the album is the 30 minute "Crick", an improvised performance that the duo consider to be a re-imaging of their experiences at Big Sur. 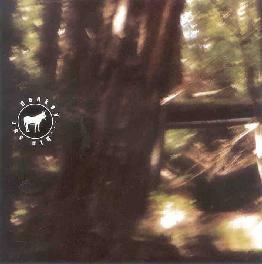 Field recordings made in the woods combine the sounds of streams, insects and various other natural sounds with the trademark Donkey electronic constructions, as well as dense walls of static, noise and drones. And throughout it's half hour length, the piece is continually morphing and building upon the artists' ideas, conjuring up all manner of both tangible and surreal imagery. These guys cover a LOT of territory, leaving the field wild open for exploration and discovery, while remaining impressively cohesive and controlled. Sound art and space exploration fans who want something that reveals new treasures with subsequent listens will find Big Sur to be delightfully challenging. For more information you can visit the Hans Fjellestad web site at: http://www.hansfjellestad.com. Visit Damon Holzborn's web site at: http://www.damonholzborn.com. 33 and Big Sur are distributed by Accretions. You can visit their web site at: http://www.accretions.com.